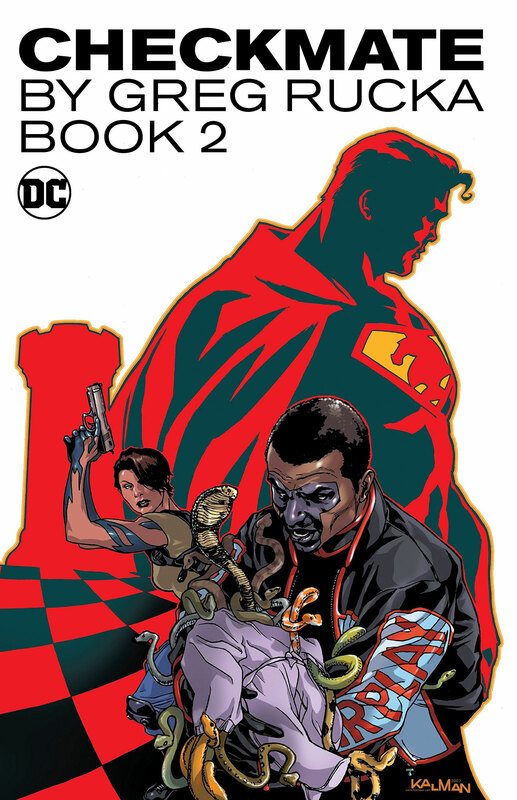 Greg Rucka's revival of Checkmate is collected again in this new edition (including the final arc, Castling, at last included under the Checkmate title). Checkmate is on the hunt for the Outsiders! But something deadly is lurking on Oolong Island, something that spells torture and disaster for Sasha Bordeaux. And Amanda Waller's unauthorized black ops are exposed! What does it mean for the future of the agency? The new head of Castle security faces a terrible first day on the job. Also featuring the new Mademoiselle Marie on a deadly rescue mission in war-torn Bialya, and a resurgent Kobra's terrible doomsday scheme. Collects Checkmate #13–25 and Outsiders #47-49.